kooky one-of-a-kind wonders and nostalgia trips. 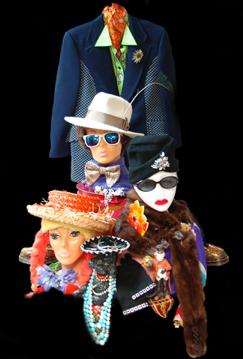 Fashionista Vintage & Variety is the tops in "thrift couture". Amazing bargains spanning the decades and bold fashion statements waiting to be made. Click here for more info and our hours. Do you have vintage clothing you'd like to sell or consign? Call or e-mail Fashionista Vintage & Variety with questions, comments or favorite fashion tips!